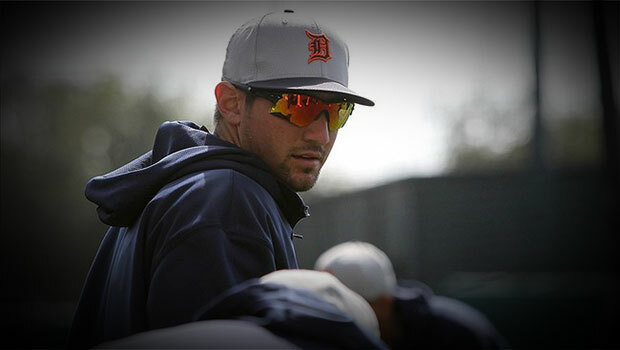 The Detroit Tigers selected Nick Castellanos with the 44th overall pick in the 2010 first-year player draft and nearly three years later is considered one of the best pure hitting prospects in the minor leagues. Castellanos has improved in terms of plate discipline, hitting variability, and adding pop to his bat with Triple-A Toledo, as his strikeout rates are slightly down and power numbers are up from split time between both High-A Lakeland and Double-A Eerie last season. In 76 games this year for the Toledo Mud Hens, Castellanos is hitting just below .300 with 10 home runs and 38 RBIs and could very well be used as a trading chip in the weeks leading up to the trading deadline. The scouting report that follows is a compilation of information gathered from professional scouting assessments and reports that have been conducted on the player in question. Included are both present and future grades on five primary tool categories, ranked on a numerical scale between 30 and 80 that suggest overall future potential. Accompanying each grade are notes detailing both the specifics of the player’s tool and the rationale behind the grades assigned to that tool.